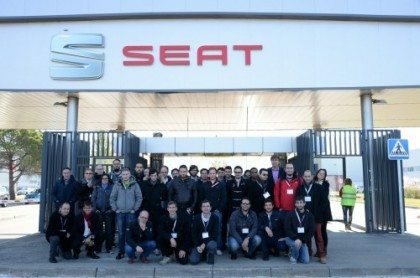 The last illiteracy: internet in automotive! In China – despite the censorship that slows or blocks access to the Web (Facebook and YouTube do not exist) – the dealers that I visited during the CADA convention collect more than 50% of their prospects through the Web! It’s possible to make money with cars and Internet? Facts-and-figures show that this business is suitable for all, even if – in the automotive – there is still the… digital illiteracy. In the era of the “applephone” and SocialMedia, there are dealers “throwing money in the loo” because they do not explain to their salesmen how to respond promptly to eMails, or they do not teach them how to follow-up by phone the Clients who requested a test Drive. During Internet Motors, it has been demonstrated live, developing dozens of phone calls to the dealerships of some volunteers. Telephones ringing ceaselessly, IVRs bouncing from one extension to another, and when a salesman – finally – deigns to pick up the phone, what happens – no exceptions – shocked the audience: the salespeople ever asked the name or phone number of the prospect, nor tried to fix an appointment. From these inefficiencies that carmakers and their dealers are not able to patrol, new companies and new competitors arise in the market. 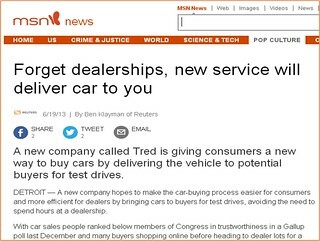 Yes: Tred who offers test drive at home (… in fact testing a car without a salesman it is even more relaxing…), or Carvana who sell cars plus financing 100% via web and delivers the cars at home. Or the supermarket offering discounts up to 41% (you can buy Fiat 500 with 31% off, or a New Golf VII saving 8,000 Euro)… and delivery is possible in 16 different locations! Promptness is all: follow-up by phone within 5 minutes increases the close ratio by 100%; 81% of those who surf the Web searching a car will buy it within 90 days; 2 out of 3 prospects will change dealership or brand if they do not get fast answers. Yet in Europe 65% of the leads do not get any response! Who cares about a website with offers expired in 2009? 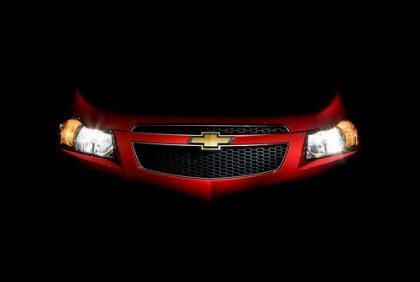 Who needs a website where it is impossible to buy automobiles or accessories? It is useless to be on FaceBook if you do not submit customized offers to your “Friends-Clients”, of which – thanks to the dealership’s database – you should know even date and mileage of the last visit to the workshop! The era of the “hunters” it’s over! Now it’s the time for “farmers” who know how to nurture those who want to buy a car. But while some carmakers help their dealers with the right approach to Internet and DealerReputation, many others – in a excess of jurassic fundamentalism – obligate their dealers to have “static-postcard-websites” with which there is no chance to develop on-line sales, and the configurator is nothing else than a link to the official site of the carmaker. So, prospects surfing in the site of one dealer, they automatically find themselves in contact with all the competitors of the dealership whose website they browsed! … this is not only illiteracy, this is stupidity! Yet in Italy – between 1997 and 2005 – there was a dealer who has sold more than 2,000 new cars via Internet: it was enough to copy! 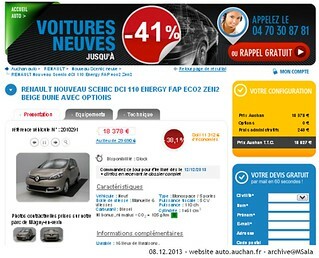 Interesting article on use of IT and internet while marketing for automobiles. Mr. Maurizio Sala all the very best. Krishan, Manmeet, thanks for your contribution. Yes, I agree: training – but also systems – are important to grant the success in the Leads Management activities. A friend, dealer in the Los Angeles area, told me that I was actually conservative in my numbers. Need other words after this impressive – but enlightening – direct evidence? I would disagree with the statement that dealers and automakers do not utilize the internet and social media. We have had an internet department for a few years, as have other area dealers. I do believe that customers use dealers internet capabilities differently in different markets. The Ford Motor Company offers dealers training and certification for internet marketing and customer follow-up. Whereas we have sold vehicles where the customer completed the transaction without test-driving or actually laying eyes on the vehicle, those types of deals are few. We also go to customers homes for test drives ( I did this yesterday), have follow-up procedures. But trying to compare the internet sales to those of China or Italy is not purposeful. Sure, we can learn from it. US auto buyers do their internet research to narrow choices, but the end result is they want to come to the dealership, with an appointment, and test drive the vehicle of choice. Hey Todd! Thank you for your contribution and for your direct evidence. I agree with you: not all the dealers are illiterate with the digital activities (throughout the World). I personally know hundreds of dealers in the US – I attended 12 NADA Conventions – many of them are really capable and advanced with the Web, CRM, Lead Management thanks to their BDC. Some are true Digital Dealers! I’m sure you are one: you believe in the instrument and it seems that you are enthusiastic: great! But many of your competitors/colleagues does not even answer to eMail or Web requests and does not follow-up their prospects, neither they did not develop any lead management/nurturing. In my opinion the main objective of a good Lead Management is not to sell cars online (although there are those able to do), but is in bringing the customers into the dealership! All starts from a good training; great to know that the brand you represent has a good training department appreciated by the dealers. In the next weeks I will pubblish a depth interview with a Digital Dealer located in the Los Angeles area. He will explain to us his point of view, usefull for all whom believe in the Web to sell new/used cars and services (all over the World!). Please let’s keep in touch! I look forward to reading your articles. We are a consumer driven. You are absolutely correct with your numbers. A quick reply could be the difference of making an appointment and a lost opportunity. We also see the dealers who are on the “till noon Saturday-closed Sunday” schedule being less accessible to customers. You can have the greatest website possible, but if your not open- consumers will go elsewhere. I thank you for the informative articles! your point of view is very interesting! Here, in Italy and in Europe, many people think that the only “Dark Force of internet” could solve everything…. On the italian website (www.automotivespace.it) I had a nice discussion with my friend Maurizio, around this different point of view about what the customer wants. I agree totally with you that the Customers HAVE TO touch car with his/her hands and his bottom….the car, today, is also different from the other goods. @ Pietro… even if I agree with you regarding the importance of the human factor in the automotive distribution chain, I want to alert about the scarce or null attitude of some dealers/salesmen with their Web Leads and with the requests coming from Internet into the dealership. As I told many times, in my opinion the main objective of a good Lead Management is not to sell cars online (although there are those able to do), but is in bringing the customers into the dealership! Face to face with effective and professional salesmen. Future has arrived, and new competitors are now in the market! This is the reason why the dealers and their salesmen must to be effective in all their activities!